Every time I look through these photos I can’t help but get emotional. 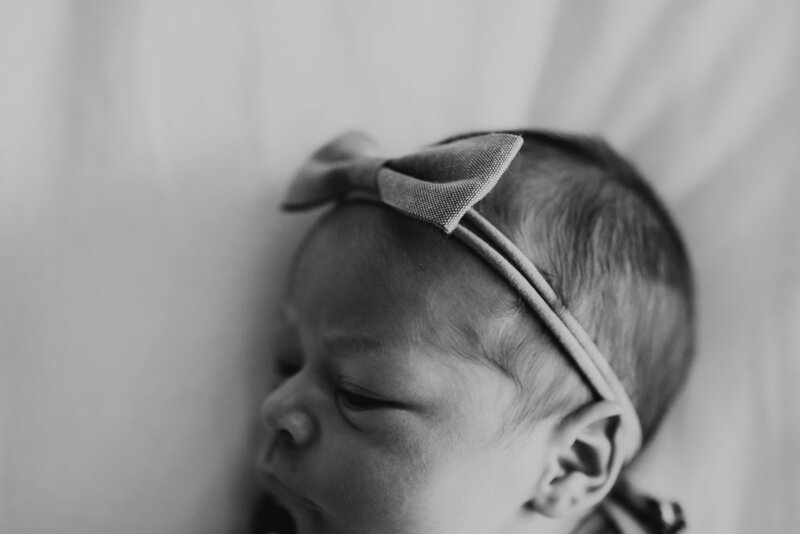 Newborn photography has just recently made a strong presence in my life and I could not be more grateful. Maybe its come from having children myself, or knowing of those who long to have and hold a baby of their own but my connection and feelings when I am shooting is something I truly can’t explain. These moments TRULY are irreplaceable. You will never get your little tiny baby back. You always hear they grow up so fast, but they do, one month to three month milestones is a HUGE difference. This in-home newborn + family shoot was one for the books. I cannot thank Emily enough for reaching out to me for the birth of her new baby girl. Quinn was quite the rockstar during her first photo shoot. She stayed awake the entire time, no feeding breaks, no diaper changes, no fussing through all the outfit changes and arms of her sisters. You are loved sweet baby. I hope you and your family can cherish these memories forever.